BUFFALO, NY – Wilwood Engineering has joined the Race of Champions as contingency partner for the 2019 season. Wilwood is one of the most recognized names in the industry. Wilwood will present asphalt modified, asphalt sportsman, late model and dirt 602 sportsman series 5th place feature winner with a $50 certificate for each of the respective series events. The $50 certificate is good toward the purchase of $100.00 or more when purchasing Wilwood products. 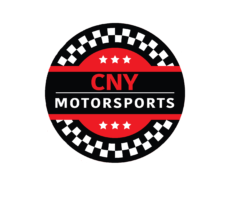 The Race of Champions Asphalt Modified Series will kick off at Chemung Speedrome on Saturday, May 18, 2019 and culminates with the running of the 69th Annual Race of Champions 250, the Northeast’s marquee event at Lake Erie Speedway in North East, Pa., on Saturday, September 28, 2019. The Race of Champions is a sanctioning body presenting Modified and Stock Car racing on asphalt and dirt surfaces throughout the Northeast, with events in New York, Pennsylvania and New Jersey with primary marketing partners Hoosier Racing Tire, VP Racing Fuels, US Army, Upstate Automotive Group, Waddell Communications, Pilat Graphic Design, TDH Refrigeration, Sherwood Racing Wheels, PavedTrackDigest.com and Speed51.com. The 69th annual Race of Champions weekend will take place in 2019 at Lake Erie Speedway in North East, Pennsylvania and is the second longest consecutive auto-racing event in North America, second only to the Indianapolis 500.